We believe in Haitian leadership and Haitian vision, investing in locally-led programs and community-based work. The Colorado Haiti Project's U.S.-based team has spent the past 30 years building relationships with dynamic, devoted and talented community leaders in the town of Petit Trou de Nippes. Our role is to continue strengthening these relationships, and to place resources directly in the hands of Haitian community leaders. As Director of St. Paul’s School, Maxo balances dual roles as the school’s principal and 6th grade teacher. Maxo received a license in Science of Education in 2014 from Université Polyvalente d'Ayiti and began teaching at St. Paul’s School immediately after. Since then, he has taught grades 6- 10. Maxo is passionate about leadership and has represented St. Paul’s at Innoved Haiti’s professional development programs. When asked about how he balances the challenges of teaching he states, “with love and commitment we are happy to do this with all our hearts.” Maxo is also a talented drummer. As Director of the GEM (Girls’ Empowerment and Mentoring) Program, Darline supervises six adult professional mentors who work with over 100 girls, both individually and in small groups. The GEM Program aims to ensure girls in Petit Trou and surrounding areas have the support network to achieve their goals and lead healthy lives. The program was developed in cooperation with local partner, Repanse Pouvwa. 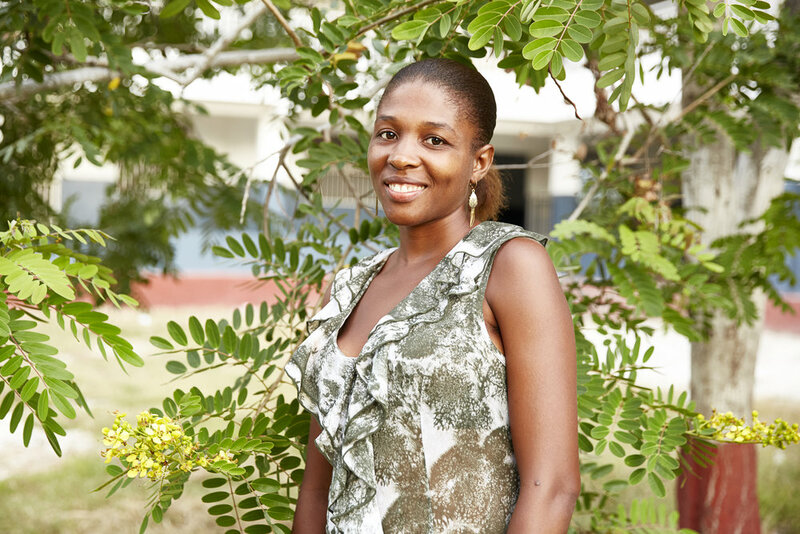 Darline is also a kindergarten teacher at St. Paul’s School. She attended the Teacher’s College of Institution Racine-Ecole Normale Nouvelle from 2013-2016. In her spare time Darline loves to draw, sing in St. Paul’s choir, and spend time with her daughter, Isnicha. Raphael is passionate about finding creative ways to educate the Petit Trou community about agriculture. He runs the horticulture curriculum and garden club at St. Paul’s School, and also visits homes throughout the region to advise families on farming. He is currently piloting an animal husbandry project that teaches 9th graders how to raise rabbits and goats. Raphael attended Université Leta d’Ayiti from 2009-2014 and has previously worked for the minister of agriculture in Payan, Kanperen, Fond de Negès, and Karitas, Nippes. Raphael travels every weekend to his hometown of Petit Riviere (about 32 kilometers away from Petit Trou) to visit his mother. Rica has coordinated the women-led, local artisan and sewing cooperative, Ti Pa Ti Pa, since it began in 2015. She loves the camaraderie of the women members and the deep friendships they’ve formed with one another as they continue to develop new ideas for providing income for their families through entrepreneurship. She also serves as the chairwoman of the local water and well committee. Rica is a mother to three children, Roodens, Roodnael, and Djoumia. Patrick became the director of Petit Trou’s seed bank shortly after he helped lead the community response to Hurricane Matthew’s devastation in 2016. This program distributed over 70,000 pounds of healthy seed in the period after Matthew and has since transitioned into a community-led effort to provide continued access to hard to find seed and create efficiencies in multiple areas. He also provides support to the Girls’ Empowerment and Mentoring (GEM) program. In previous roles he has served as the mayor of Petit Trou de Nippes and a high school foreign language teacher (Patrick speaks French, Spanish, and English fluently). Patrick holds a degree in Legal Sciences from the Right’s Faculty of Gonaives. Patrick enjoys spending time with his wife, Rose Laure, and sons, Pat and Patricio. Guilot teaches English and computer science at St. Paul’s School, and has also served as the accountant and administrator on campus since 2012. He holds two degrees: an Administration diploma from the Business and Technology Institute in Les Cayes, and a degree in Accounting from the Université Polivalant in Port au Prince. Guilot grew up in Petit Trou and was a student at St. Paul’s School himself. He recently built a house within walking distance to the school, where he lives with his wife Genevieve. Madame Ricardie attended Comptabilitè Ecole Professionel, and her work supporting administration and the Kindergarten program on campus is her first experience since graduation. As Head Nurse of this clinic in Petit Trou de Nippes, Guirlene is responsible for providing clinical care and key administrative leadership while also managing the 44 Community Health Workers funded and supported by CHP. She often is working on mobile clinics, vaccination campaigns, and community health education sessions. She attended the Universte Adventiste D’Haiti. She was born near Cap Haitien in the North of Haiti, and she visits her hometown as much as she can. Precilise has been working as the St. Paul’s School nurse for eight years. She previously worked at Hopital Turgeous in Port au Prince and as lead nurse at the clinic at Grand Boucan. She still misses the fast pace of working in a big hospital, but is happy to be in a role where she can be working with children. Precilise holds a degree in nursing from Ecole Polytechnique Superieure Sante Anne. She is a mom to Sebastian, her 8-year-old son, who is a student at St. Paul’s School. Wynn first traveled to Haiti after the earthquake of 2010 to assist with relief efforts. 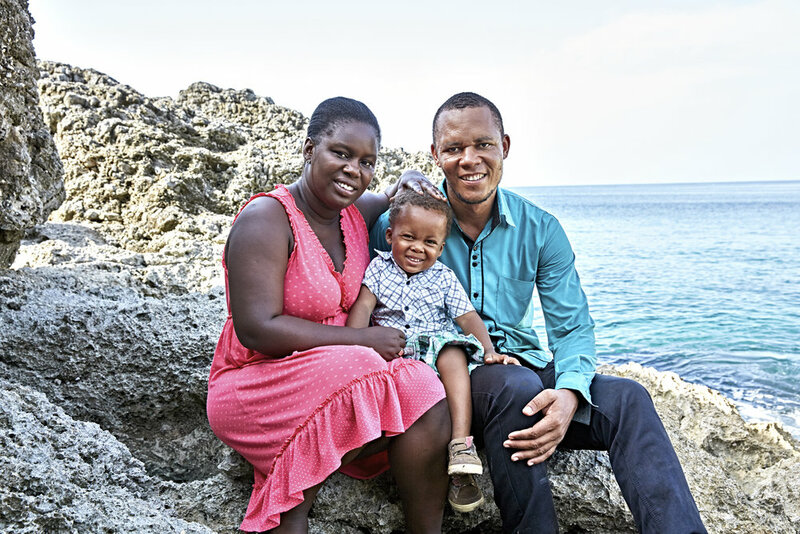 He intended to stay for two months before returning to the U.S. for graduate school, but the powerful experiences he collected while supporting Haitian relief and development efforts stirred Wynn so deeply that he decided to defer his graduate studies and remain in Haiti. Over the course of the next two and a half years he lived and worked full time in Haiti, developing a deep appreciation for the importance of Haitian leadership and self-determination. Prior to his time in Haiti, Wynn worked internationally in Peru and Central America as well as for a non-profit based in Harlem and the Bronx in New York. He earned a Bachelor’s Degree in Government and Psychology from the University of Virginia, and more recently a Master’s Degree in International Studies and Global Health Affairs from the University of Denver. Wynn has published writing in the Denver Post, Huffington Post, and Latterly Magazine. He is a proud father of two boys, Belony and Vladimir. Our Colorado-based efforts operate thanks to a large team of dedicated volunteers, interns, and support staff. More details on this important part of our team are coming soon.